Is the Early Release of Super Bowl Commercials Beneficial? With the big game on Sunday, it’s almost impossible to go online without seeing something pertaining to the Super Bowl. While I enjoy hearing about the Patriots, one thing that really caught my attention has been all the talk regarding the widely anticipated Super Bowl commercials. I like Super Bowl commercials just as much as the next person, but I was surprised that I am already seeing the full commercials before the game has even happened. Did I miss something? Isn’t the point of paying 3 million dollars so the commercial will have its big debut during the Super Bowl, not weeks before on the internet? Well I really thought about this and tried to figure out the reasoning behind this new marketing strategy. While at first I was rather confused by this approach I do think it can have a positive impact for some companies, but definitely not all. I just recently saw Chevy’s 2012 Super Bowl ad “Happy Grad,” a simple yet memorable commercial. Although it was posted early on the internet, it is greatly entertaining, which puts Chevy in a good position for when it does air. People are already talking about the commercial, which adds to the anticipation of other viewers. Instead of just being viewed during and after the Super Bowl, Chevy’s ad is being seen before the game has even started. The “Happy Grad” ad has already had 905,921 views on the popular site YouTube. The commercial will have a much longer lifespan than ads that are waiting to air on Super Bowl Sunday. This strategy has also given Chevy the advantage of having a larger return on investment by allowing their commercial to circulate for a longer amount of time on the internet and television. People will constantly be seeing the Chevy brand, giving them more incentive to buy from them. While this is a risky strategy, it works for Chevy because they have a good commercial that viewers find desirable. While Chevy will most likely see a positive impact from releasing their commercial early, not all companies will get the same outcome. 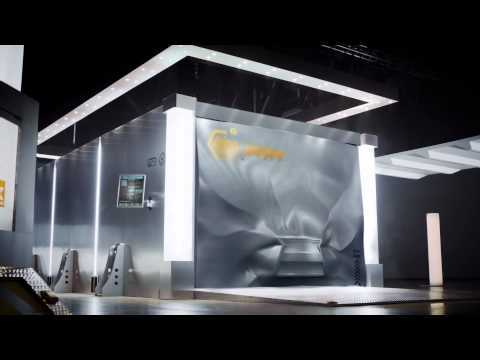 Another 2012 Super Bowl ad done by Lexus is called “The Beast.” Sounds pretty cool, huh? Well don’t let the name fool you because this commercial isn’t that special. When I began watching it, I was pretty interested, but then it became rather predictable and unexciting. I really didn’t find it entertaining and wouldn’t be too excited to see it again during the Super Bowl. While this may be my personal opinion on the ad, I think many people would feel the same way about seeing a commercial in the future that they didn’t even enjoy the first time. For me, now that I have already seen this commercial, I really don’t feel a need to pay attention to it again during the Super Bowl. I think this is a great downside to companies posting commercials that aren’t very entertaining and enjoyable before they are supposed to air. People already know what the ads are like and may not have an interest in them the second time around. Now that this Lexus ad has been around for over a week, people might even be sick of it by the time it actually airs. Overall I think it’s a pretty risky strategy to post your Super Bowl commercial before the actual game. You really have no idea how people will react to your ad and once it’s out, it’s out. Viewers like the element of surprise and seeing Super Bowls ads before the game just doesn’t have that same effect. While some companies like Chevy may see a positive outcome from posting their ad, not all will get the same response. I was really surprised to see this happen this year and while I may understand the reasoning a little better, nothing beats seeing new commercials on Super Bowl Sunday. Do you think releasing Super Bowl ads early is a good strategy? Will it detract from watching on game day? Tweet us @451Heat to share your thoughts! Thanks to @bonnielester530 for this week’s post! Bonnie is a 451 Marketing Marketing Intern. She is a senior at Worcester State University majoring in Business Administration. Whether you are trying to acquire new customers, generate more leads, or simply sell the product, paid advertising can come to your rescue. The advantage of paid advertising is that people are already searching for your product/service. As opposed to conventional marketing, a paid search audience already has the intent to buy or learn more about your product. Apart from the benefit of having qualified traffic, pay-per-click (PPC) advertising has many other positives. First off, it is easy to start. Setting up your account is simple; you can start off with a budget that you are comfortable spending. Secondly, PPC offers flexibility. You can test out different versions of ad copy, headlines, and call-to-actions. Lastly, paid ads are great way for increasing brand awareness. Even if people don’t click on your ad, just showing up in the search results for your key terms builds trust factor and brand recognition. However, there are challenges involved in paid advertising. With more marketers turning to PPC advertising, the paid search space is becoming competitive. More and more brands are fighting for the top ad positions. Because your competitors are bidding on some of the same keywords as you are, this could result in a price war. Keywords which once cost few cents a click now can cost considerably more. This isn’t a problem if you have a large budget to work with. But if you have a limited budget, you need to keep an eye out on your account spend. 1. Negative Keywords: Negative keywords are search terms that you don’t want your ads to show up for. Look through the search query report and make note of such keywords. Once you’ve identified these keywords, add them to the account. You can add negatives at the ad group, campaign, or account level. 2. Device Targeting: You can set your ads to show up on desktops/laptops, tablets, mobile devices or on all of these devices. If your website is not mobile ready, users will struggle to read the content on your site. In such a case, it makes sense to exclude the mobile audience and just target your ads to people searching on desktops/laptops and tablets. 3. Ad Scheduling: Ad scheduling lets you specify certain days of the week when you want your ads to appear. You can also adjust bids for your ads during certain time periods in a day. Review all of your campaigns and see what days and times are best converting. Shut off your ads during the low converting period. 4. Ad Delivery: Ad delivery determines how quickly your ads are shown each day. You can have the ads show up evenly throughout the day, or you can have them show as quickly as possible. If your campaigns are consistently hitting the daily budget cap, switch the setting to allow your ads the opportunity to appear throughout the entire day. 5. Bid: Keywords can be very expensive. If you are running on a tight budget, being at the top ad position might as well drain your daily budget in a few clicks. In such cases reduce your bid, be at a lower ad position and use that saved budget in getting more clicks. These are some quick tips that we’ve found useful in better utilizing the budget. How do you optimize your account spend? Share your thoughts in the comments or tweet us @451Heat. 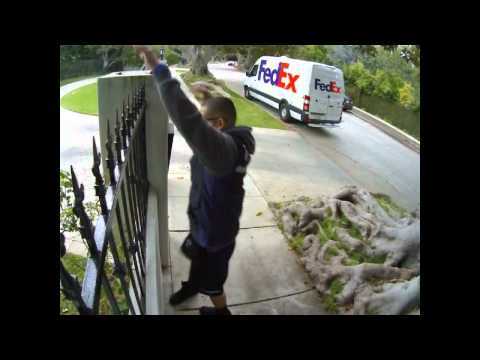 When I first saw this video of a FedEx employee throwing someone’s computer monitor package, I didn’t think there was much to it. I was dead wrong. Like my fellow members of the Y-Generation, there is nothing a like a viral YouTube video-turned-scandal to lift your spirits. However, even with all my psychic powers (that I believe are a direct result from watching Practical Magic too much), I could not have seen the public relations bomb that was about to hit this mega courier company. Eight million hits later, FedEx realized that they have a crisis at hand. Let me give the back story: a stupid employee, in a rush for ‘outstanding’ service, simply tosses a flat-screen computer monitor over a customer’s gate, without even bothering to ring the bell first. Clearly, foolish people will always have jobs. I mean, Paris Hilton has her own business. Need I say more? FedEx took what seemed to be the ideal route: address the problem upfront, and simply apologize. Now while Matthew Thornton, Senior VP of FedEx Express U.S. Operations, did hit the necessary points in his web address, I would not call this a victory for FedEx as some of my fellow PR professionals have. Yes, Thornton was upfront. Yes, he apologized as soon as the video started to go viral. These points were all good things for FedEx. But many consumers and employees alike feel the video is too scripted and inauthentic. Let’s just say, I wouldn’t want this guy to give the speech at my wedding, no matter how many luxury homes in Spain he offered to buy me (hint, hint family and friends). The fact of the matter is that many employees and customers are taking these videos as opportunities to vent their intense frustration with the company. While this video cooled some of the fire, it hardly extinguished it. For many, Thornton’s apology pissed them off even more, because it was so contrived and, to them, not genuine. Many have stories of their own about how FedEx has done them wrong. Did FedEx’s apology help? Yes. Was it necessary? Of course. Did the entire situation end in a victory? Now that might be going too far. Sometimes, you just can’t win, even with a great PR team, and especially with a poor public speaker.